The problem with the code is the comparison ! (id %in% my.drop), as it includes the factor student.code, so when R makes the comparison checking if a record is in my.drop it converts the text, e.g. ‘mjl159’, to the number of level, e.g. 41, which makes the code to delete ONE MORE observation (in this #41) on top of the ones the student was allocated. This happens only for some students, where the number of level is not included in the list of observations to drop. This is another version of R pitfall #3: friggin’ factors. A simple workaround is to change the comparison to ! (id %in% my.drop[2:6]). I should know better than this. 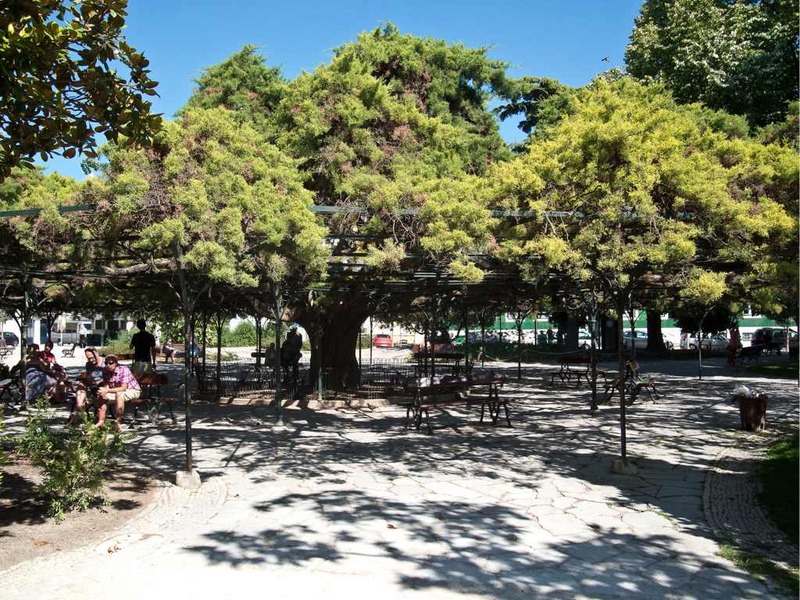 Gratuitous image: Tree spread on metal frame to provide shade in a plaza, Lisbon, Portugal. Some days I would love to have a coffee there without computer, just watching the world pass by. (Photo: Luis).